Let’s face it we have been taught since we were kids that your reputation is everything in life, and as we get older you should realize it more and more. Apply that concept to any facet of your life including business and you will see that it could not be more true. Your companies online reputation is no exception! With the world at our fingertips and usually from our phone or tablet, having good credentials online has never been more important. You can have the nicest website ever built, but if right below it in your search is a credible source showing bad reviews for your business, you are commuting online suicide. I’m not saying everyone that is thinking of doing business with you will also research you online, but I promise you that many are, and some may just stumble upon them by accident. The reputation of your business is so important to your sales that there are even companies that offer services for a specific area of work. 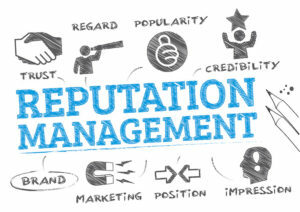 For example, there is a company that offers reputation management services for dentists. This is a very specific niche but the knowledge they have around dentistry is massive. This is why your Reputation Management is so important for your business! So what does that mean? What do I mean about owning the first page? —- Let me show you! 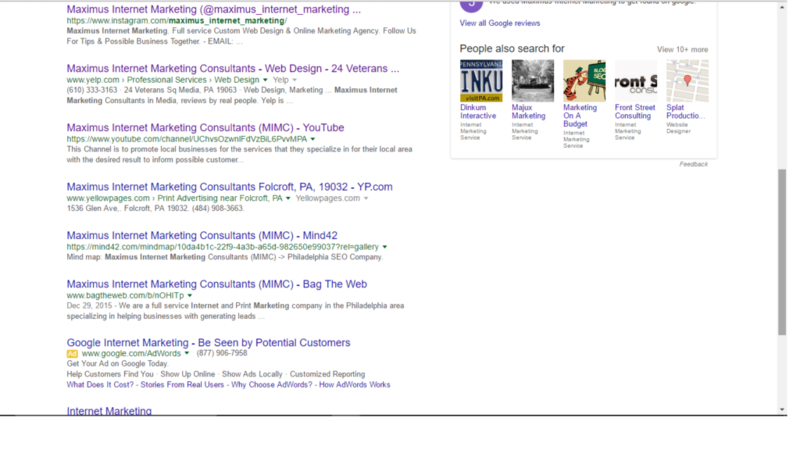 What I mean by that is that every result on the first page of that google search of my business name shows results for my business and it is all good content. 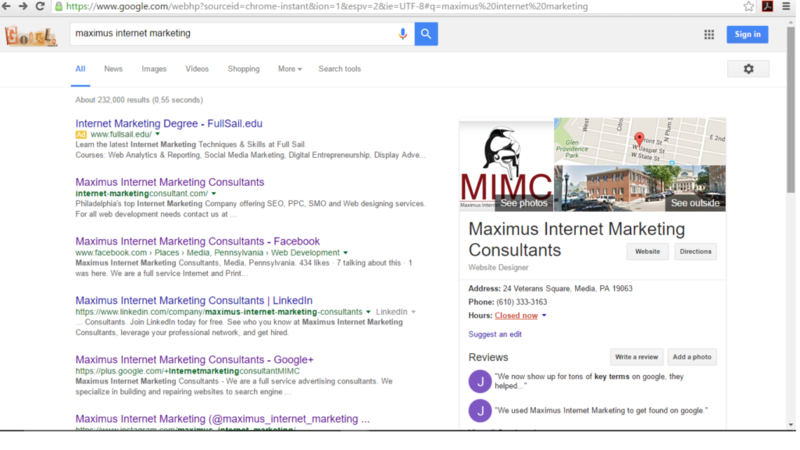 You can see that to the right is my Google Plus profile, showing good reviews, and ALL TEN of the organic search results are a profile for our business or a directory. Have your Google Plus profile competed and with good reviews from clients/customer. Have as many Social Media profiles as possible completed and showing online. Do Not get a Rip Off Report written about your company, if you do discuss your options with a reputation management company like us. Encourage your happy customers/clients to write a good review for you on different outlets. This will sound like common sense, but make your customers/clients happy so that you do not get any bad reviews. Avoid having bad press on your company, the last thing you ever want it to be in the news for poor business practices, it will be all over the internet and very difficult to get your pages away from it. Make things right with unhappy customers/client – What I mean is, in the unfortunate event of getting a bad review or worse from an unhappy customers, contact that customer and see what you can do to make them happy and make it right. Believe me, it will be well worth it! There are things that can be done to help your reputation online and also move down any bad information about your company that comes back in a search. This is done by doing a Reputation Management Program. If you have any questions at all about this, please do not hesitate to contact us.